Berkeley Juggling Festival - BrainstormOverload - Small design studio. Big ideas. 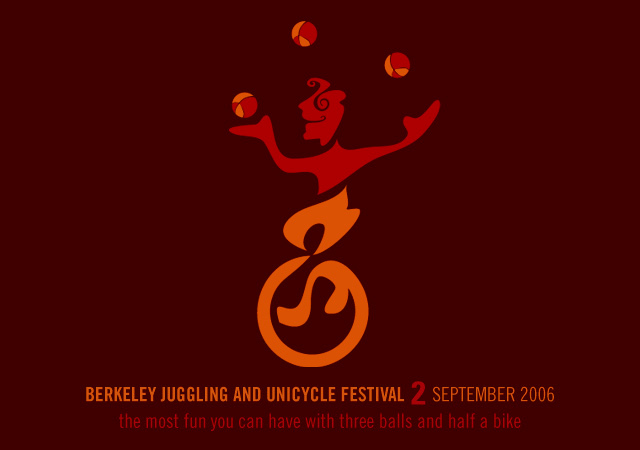 For it’s second year the organizers of the Berkeley Juggling and Unicycle sought us out for a t-shirt design. Our simple, two-color design merges both disciplines while respecting each. It was very well received, sold out quickly and even inspired a tattoo. 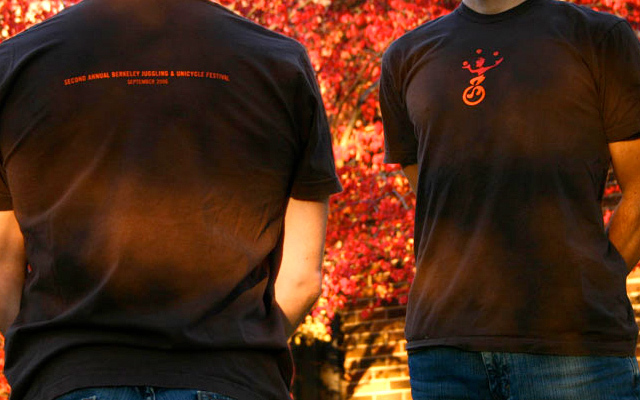 Our tag line “The most fun you can have with three balls and half a bike” didn’t make the final shirt. We think it’s pretty funny but then we’re cyclists.